In 1991, Lou Ward started an alternative newspaper in Red Lodge, Montana called the Red Lodge Local, which changed names several times, finally settling on the Local Rag. The final issue came out in December of 2014. 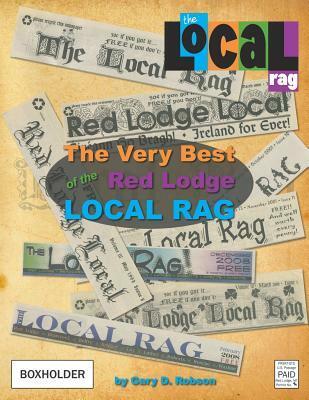 Gary Robson, who has owned the Rag since 2007, has gathered the funniest, the localest, the VERY BEST of the Local Rag for this book. In these 250 full-color pages, he has pulled together features from all six editors, including the wildly popular "Where do you read YOUR Local Rag," where readers submitted pictures of themselves reading the Rag in 50 countries, spanning all seven continents.